Landrieu suggested the removal of the monuments speaks about what the city New Orleans is and aspires to be, more than the city that was. Elite bashing is a form of stereotyping that is common in populist politics. Stereotyping to renounce prejudice is in itself a form of prejudice. The economic upper middle class is always an easy target, and one is never profiled for courage in defending it, yet these are the people who underwrite charities, provide civic leadership, support events and pay the heaviest tax burdens. Every society needs this class of people; those without it fail. The common image is of white aristocracy, but there is a significant emerging diversity within the upper middle class. None of those who aspire to it should be faulted for relishing a better lifestyle for their families. (As an aside, Landrieu, perhaps without knowing it, borrowed from former Governor Earl Long’s playbook in using the Galatoire’s analogy. Long, when he wanted to make fun of New Orleanians, used Antoine’s. We should mention that the practice of having stand-ins for Galatoire’s long lines ended several years ago when the restaurant expanded by adding an upstairs.) There are many reasons for opposing the removal of some of the statues, particularly Beauregard and Lee; some having to do with art, some with a better understanding of history. Honest dialogue is not “death by a thousand cuts” but new life for the truth. He again urged locals not to fear change. New Orleans has always been a city of newcomers. The river and the surrounding lakes provided pathways for people of all sorts to pass through and settle. (Even the native tribes arrived on the local banks from somewhere else.) Being a port acted like a spigot from which a hybrid culture emerged. 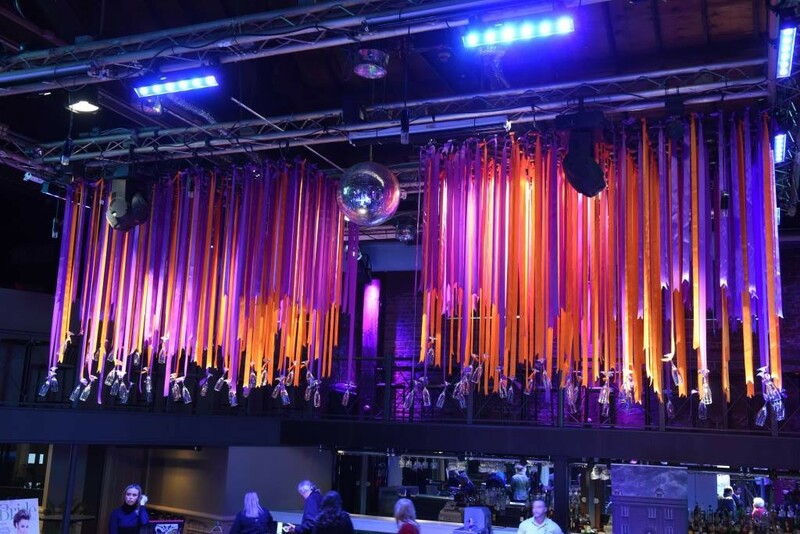 A classic example is the emergence of our Mardi Gras celebration. The founders of the early krewes were mostly of Anglo-Saxon heritage from the eastern part of the United States who crafted a celebration here but borrowed from the French culture for a name and some traditions. Jazz germinated from back street neighborhoods shared by black New Orleanians and Italians for whom music was a spirited diversion. Like Brennan’s, a French Restaurant founded by an Irishman, we combine the best best of many worlds to create something new. Much of what is charming about the city comes from our having preserved elements of the past. We saved the character and architecture of the French Quarter (at least most of it); we blocked a riverfront expressway; we still have a trolley car system; the elegance of the Garden District remains; we not only preserved jazz, but made a festival out of it. Some of our cuisine traces back to ancient Creole traditions. 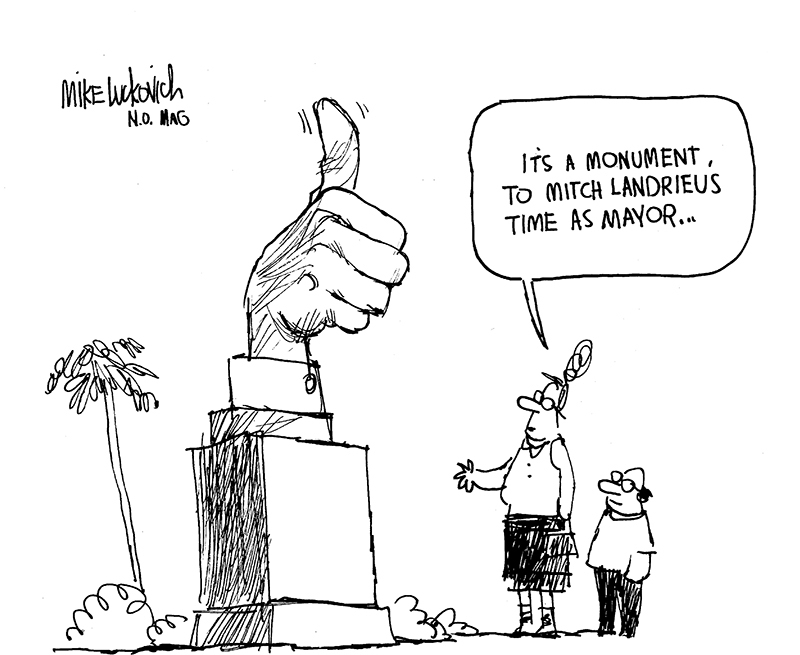 In many ways Mitch Landrieu was a good mayor, and we thank him for that. The city is in much better condition than what he took over eight years earlier. Yes there are economic and social disparities, but those problems are universal. It is still possible for people to live a life here that, if not always rich, can be joyful. We all share a common history. It should not be hidden, but rather better understood.